This is VERY interesting, as someone who’s a woman of color from the United States and has lived & traveled abroad. Feel free to comment (either here on or the original post). Just saw someone post this on Facebook. Didn’t know that the month of June is considered Caribbean Heritage Month. Learning something new every day. 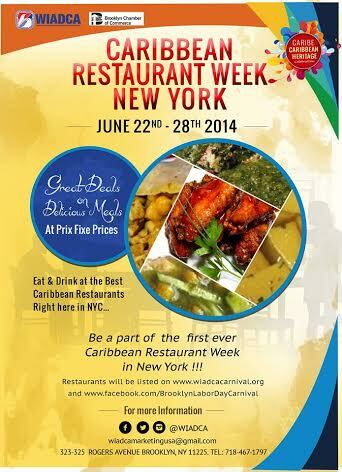 This week – June 22-28, 2014 – is the first Caribbean Restaurant Week in New York. The West Indian American Day Carnival Association (WIADCA), producers of the New York Caribbean Carnival on Labor Day and the Brooklyn Chamber of Commerce (BCC) have partnered to produce the first Caribbean Restaurant Week in New York from June 22 – 28, 2014.